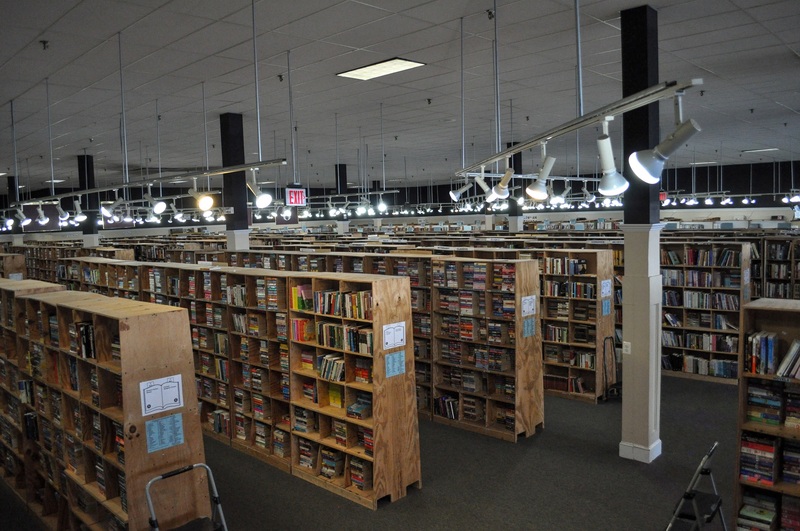 McKay Used Books is unlike any other bookstore you’ve been to. We have hundreds of thousands of different items on our shelves on any given day for your browsing pleasure. Looking for books? We have fiction, non-fiction, children’s books, graphic novels, and comics. Are you a movie buff looking to fill out your collection, trying to find something to watch tonight, or maybe a cheap date night flick? Check out our DVDs and BluRays in every genre. Long commute? Try our books on cd! Is music your thing? We’ve literally got thousands of cds in all different categories and now Vinyl and cassettes too! Did you say that you are a gamer? Well that’s good, because we carry RPG materials, every type of video game and video game accessory, current and retro. In addition to all that, we now carry board games, action figures, beanie babies, and even Nerf guns. There’s something here for everyone! How do we get all this stuff you ask? From customers like you of course. We buy, sell, and trade merchandise up until 1 hour before closing every day, no appointment necessary. See our Frequently Asked Questions page for details on the trade in & selling process. You can bring your items in for trade or cash until an hour before we close. Richard McKay Used Books has donated over $5100 (and counting) to our local public schools in Prince William , Fairfax , Fauquier , and Loudoun County for the 2018-2019 school year. We are proud supporters of many local non-profits. We were able to donate hundreds of books to the Fauquier County Books on the Bus program during the summer. This year (2019) we’ve donated over 6500 books to the Kids In Need Foundation! In addition to donations, we also host non-profit organizations as well as local authors in our store to help promote our local community. You can bring your items in for trade or cash until an hour before we close. Any other holiday we will be open our normal hours.